Approximately 12 x 7 inch one of a kind emperor moth. 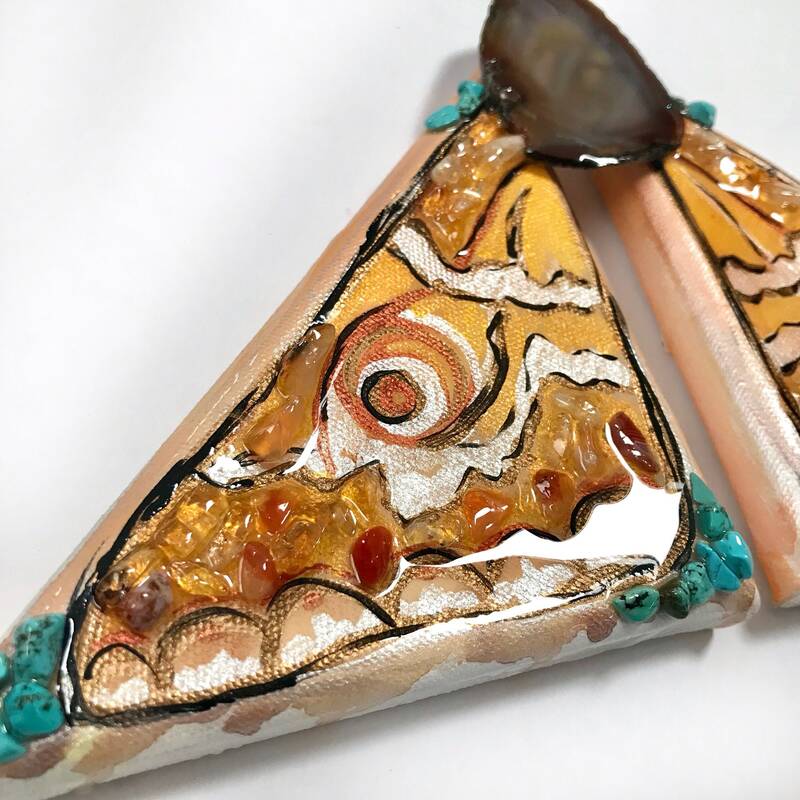 Two triangular canvas wings are joined together by an agate moth body and accented with citrine and carnelian on the hand painted wings. Turquoise accents frame the wings as it takes flight. Sealed and protected in resin. One of a kind and handmade with love in Colorado.